This is a wonderful gift that he will use and enjoy for years. Use at bathtime or at the pool! Measures 30" x 52" and made from 100% cotton. 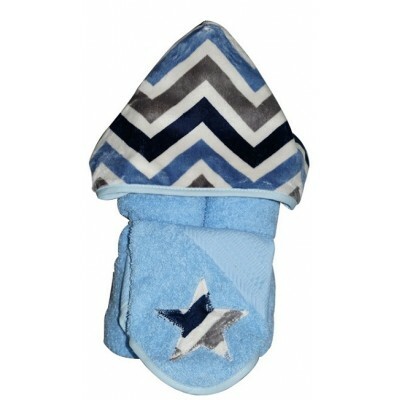 This towel is best for infants through age 5. Add a monogram or full name in white or navy on the back of this generously sized item to make a fabulous personalized gift. This style includes a coordinating washcloth! TEMPORARILY OUT OF STOCK- SORRY FOR ANY INCONVENIENCE.